Today I’m loving … this beautiful mint green wall and white bedhead. Update: the first is image is from Johnny Vintage and was found via Oh Joy (thanks Erin for letting us know the source!). I have added the second image, which is from Arte Styling, that I found this weekend. The colours remind me of Spring! OMG I love that headboard! I have a wall that color and seeing this headboard is making me drool. I like the sea gulls on there! It reminds me of the ocean! Sweet and fresh colour! 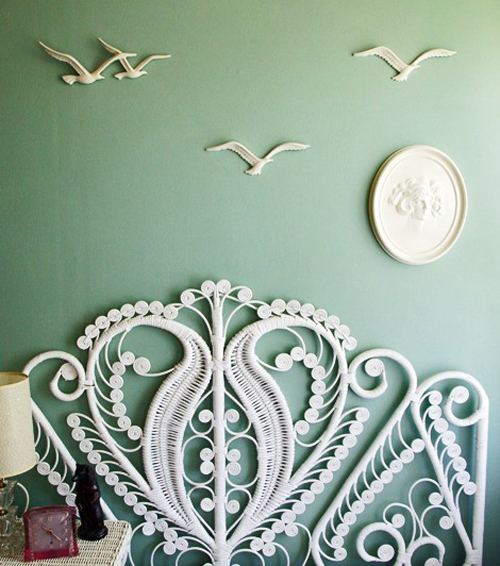 and the white birds, frame and headboard make it extra sweet, like sugary frosting! Just the right touch. The color is really nice. But I would definitely do away with the bedhead, it’s awful. The birds may be a little bit kitschy, although….yes. The birds are not that bad. But avoid such bedheads, people, really, they’re awful! the lamp in the second image is gorgeous! 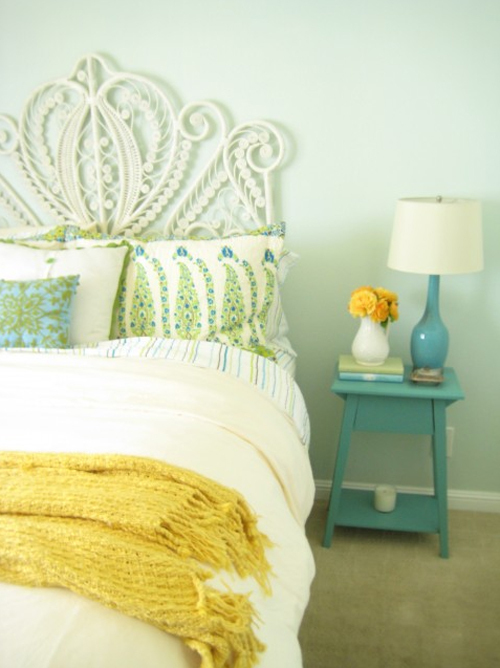 OMGoodness, love this headboard! It would be pretty up against slate grey walls too! Want it! HI, love the green wall, what color/brand did you use ?